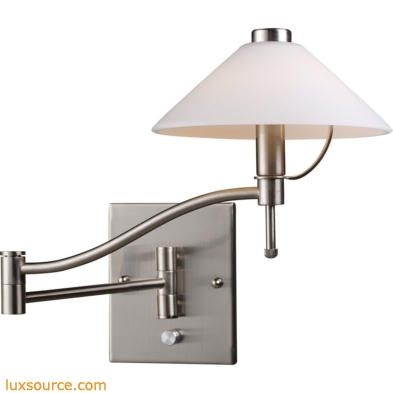 The Swingarms Collection showcases swingarm sconces in a variety of styles and finishes. Finish Detail: Satin Nickel. Material: Metal,Glass. Fixture extends from 9-22-inches.